I haven’t been back to the San Francisco Bay Area since 2009, this trip I’ve noticed a few new bicycles. 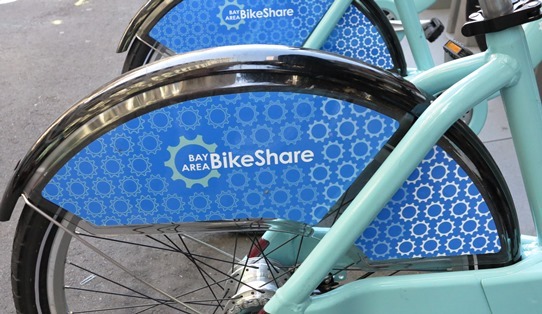 Starting with the Bay Area Bike Share scheme. ▲ I’m pretty sure it’s the same Montreal designed bicycles-locking stations-software system that I’m also familiar with in London. Where I use it a lot. And Melbourne. Where for assorted reasons I hardly ever use it. The stations are all over central San Francisco, but also elsewhere around the bay. There’s one just down the road from where I’m staying tonight in Palo Alto. ◄ There’s a bike shop, right by that Palo Alto bike share station, with Surly bikes. 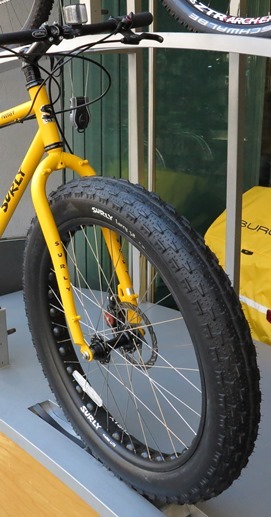 I’d heard about the currently fashionable ultra-fat-tyred bikes and I guess the Surly bikes, like this Pugsley, are prime examples. If you’ve always wanted a bike with 3.8 inch tyres this is what you need. Although you could opt for a Moonlander with 4.8 inch tyres. Not that much smaller than the 5.2 inch tyres on my first car, an original Mini. 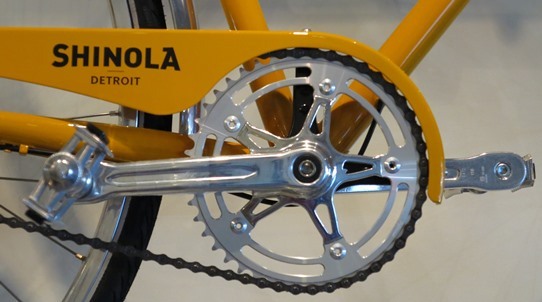 ▲ Wandering around Palo Alto I also came across a bike shop with Shinola ‘Made in Detroit’ bicycles. I seem to have been bumping up against Detroit a lot recently – in books and supermarkets – and last night I brought the ‘ruins of Detroit’ into a talk I did at Global Heritage Fund’s annual dinner at Menlo Park.